Biblioboard features a collection from Recovering the Classics (which features public-domain classics from world literature, with modern cover images), a curated Popup Picks collection that changes quarterly, as well as collections from the Bodleian Library and the BiblioBoard Core. There is no limit on simultaneous use; items in the collection can be read by 1 or 100 patrons at the same time. This means no hold queues and no waiting for titles. Hoopla always has books and comics available to read in an internet browser or download for 3-week checkouts – no waiting. Borrow up to 10 items per calendar month. Items are returned automatically at the end of the borrowing period, so there are no fines, ever. MyMediaMall has the latest books available to read in an internet browser or download for 3-week checkouts. Borrow up to 5 items at any one time. Items are returned automatically at the end of the borrowing period, so there are no fines, ever. Something checked out? Place a hold and become notified when it becomes available for you. Sesame Street eBooks contains more than 200 classic and brand-new books based on Sesame Street’s time-tested early childhood curriculum. When you read a Sesame Street eBook with your child, you can make story time extra engaging with bright pages, audio narration, interactivity, animation, and more. Best of all, Sesame Street eBooks are ready to read right here, right now! TumbleBookLibrary has over 1100 titles, with content most appropriate for those in grades K-6. It includes animated talking picture books, chapter books, videos, non-fiction titles, playlists, books in languages other than English such as French and Spanish, graphic novels and math stories. TumbleBookCloud Jr. is an online collection of eBooks and read-along chapter books, non-fiction books, graphic novels, educational videos, and audio books! This database is a great option for adventurous young readers who wish to read beyond the picture book collection in the TumbleBookLibrary. TeenBookCloud contains a robust selection of Graphic Novels, Enhanced Novels, eBooks, classic literature, National Geographic videos, educator resources, and audiobooks. The collection is available online around the clock. No downloads, no waiting! If you can access the internet, you can be reading, watching, or listening to fantastic content. Hoopla always has latest music available to stream or download for 1-week checkouts – no waiting. Borrow up to 10 items per calendar month. Items are returned automatically at the end of the borrowing period, so there are no fines, ever. Hoopla always has movies and TV shows available to stream or download for 3-day checkouts – no waiting. Borrow up to 10 items per calendar month. Items are returned automatically at the end of the borrowing period, so there are no fines, ever. Kanopy is an award-winning video streaming service providing access to more than 30,000 independent and documentary films—titles of unique social and cultural value from The Criterion Collection, The Great Courses, Media Education Foundation, and thousands of independent filmmakers. The popular on-demand video streaming service also includes Kanopy Kids: thoughtful entertainment for children aged preschool and up. Parents and caregivers can stream videos from a curated selection of educational and enriching videos on Kanopy Kids with developmentally appropriate, age-based ratings, as well as additional parental controls to help keep kids safe. 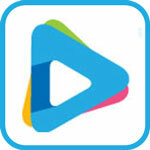 MyMediaMall has an assortment videos available to stream for 3-week checkouts. Borrow up to 5 items at any one time. Items are returned automatically at the end of the borrowing period, so there are no fines, ever. Something checked out? Place a hold and become notified when it becomes available for you.